New Perspectives on Negotiation Styles. 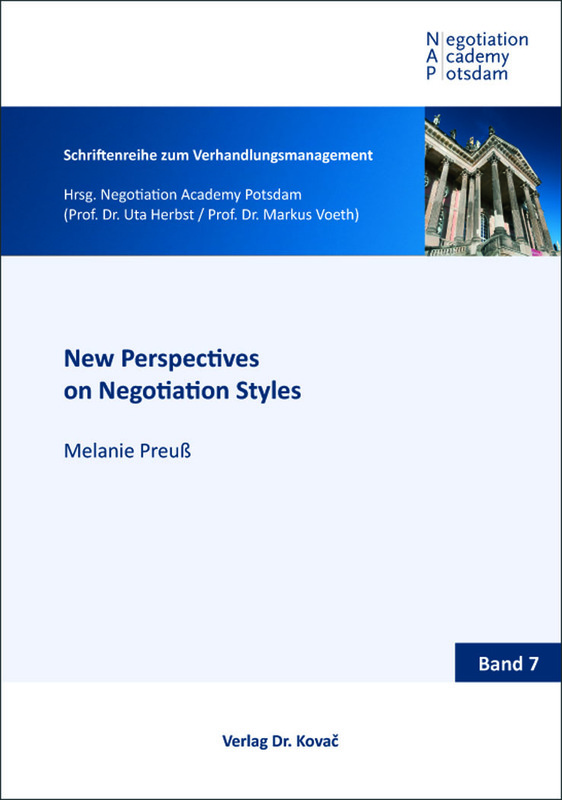 Dissertation von Melanie Preuß, Verlag Dr. Kovač 2018, 126 S.
Companies have a keen interest in developing skilled negotiators in order to improve their negotiation outcome. A crucial determinant of the negotiation outcome are negotiation styles that represent the negotiator’s actual behavior during the negotiation process. In this context, the author examines the variation in negotiation styles throughout the negotiation process, points out the relevance of the negotiator’s characteristics and situational context as determinants of negotiation styles, and emphasizes the importance not only of actual but also of perceived negotiation behavior. As a result, existing negotiation research is advanced as new perspectives on negotiation styles are offered to improve a negotiator’s performance.